The first time I caused terrible harm to the people I love, it was an accident. The second is the reason I'm here. When Alexandra discovers that her husband, Philippe, is having an affair, she can't believe he'd risk losing the love that has transformed both their lives. Still in shock, Alexandra finds herself powerfully attracted to a much younger man. Jean-Luc Malavoine is 23, intense and magnetic. He's also the son of Philippe's best friend. With every increasingly passionate liaison, Alexandra is pulled deeper into a situation that threatens everyone she holds dear. 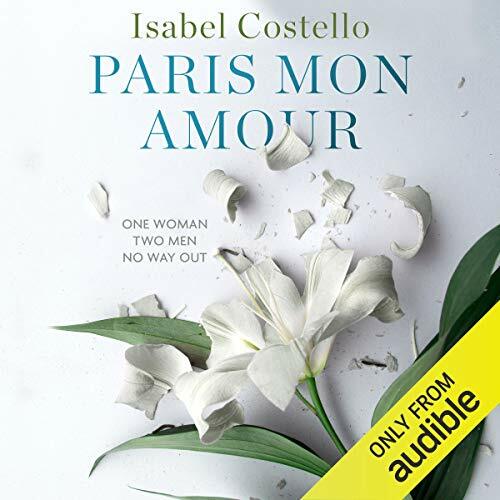 Beautifully told through the boulevards and arrondissements of the City of Light, Paris Mon Amour is a sensual audiobook about inescapable desire and devastating betrayals. It is the story of one woman and two men and what happens when there is no way out. Isabel Costello is the host of the Literary Sofa blog, which features authors from new talent to New York Times best-selling novelists. Guest writers on the blog have included Patrick Gale, Linda Grant, Tracy Chevalier and Karen Joy Fowler. She read modern languages (French and German) at Oxford before pursuing a career in marketing and communications. She is now a full-time writer and lives in London. This is a combination I really enjoyed. Romance and passion between beautiful people in a Paris setting. Delicious to feel there as an insider. Then it is also much more challenging than you expect. A middle aged woman behaving out of character but you completely feel her damage and see the outcome. We all have enough light and dark in us to understand.